Adam Cianciarulo piloted his JE Pistons, Pro Circuit powered KX250 to the win when he lit the candles in the 250SX main event in Oakland. Check out all the details and see Adam's thoughts on the race here. Adam Cianciarulo collected his second win of the season aboard his JE Pistons-powered No. 92 Kawasaki KX250 Saturday night at Oakland-Alameda County Coliseum to become the first repeat winner in Monster Energy AMA Supercross, an FIM World Championship, Western Regional 250SX competition this season. The Clermont, Fla., rider picked up two spots in points and jumped from fourth to second in the Western Regional 250SX Class Championship, where he now trails leader Colt Nichols by a slim three-point margin. Adam charged from start to finish in Oakland and now sits in a close second in points. After admittedly having a rough go in practice and finishing third in his heat race, it was all Cianciarulo when the gate dropped for the 250SX Class main event. While he yielded the holeshot to Nichols, Cianciarulo served notice to the 22-rider field by taking over the point before completing the first lap and never looking back. Despite a late-race charge from runner-up finisher Dylan Ferrandis, the eight-time Supercross winner held his ground and held on to snag the checkered flag. 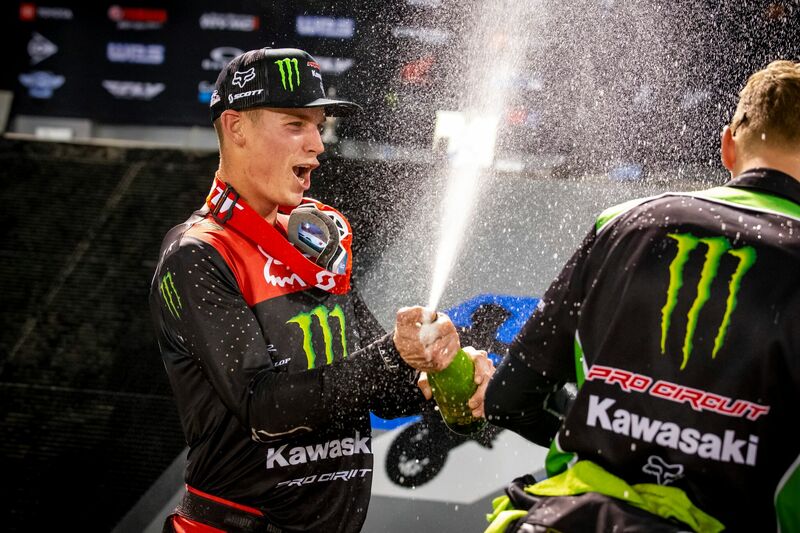 "We got it done and it feels so good,” said Cianciarulo. “I wasn’t feeling the best throughout the day, but I was able to turn it around for the main and make it a solid night. I’m so grateful and proud of the entire Monster Energy/Pro Circuit/Kawasaki team and we’re all looking forward to keeping this momentum going. I could hear him (Ferrandis) behind me but I really nailed the whoops on the last lap which saved me because I didn’t want to go in that last section super close to each other. I’m glad we were able to sneak it out and hold on for the win." 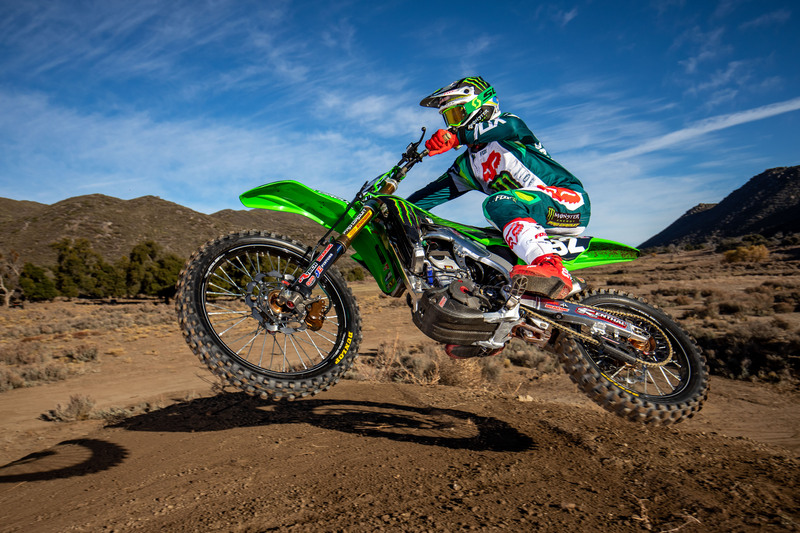 Meanwhile, Cianciarulo’s Pro Circuit Racing teammate and rookie contender Garrett Marchbanks turned in a workman-like performance to bring his No. 61 Kawasaki home eighth on the final scorecard. In 450SX Class action, JGRMX/Yoshimura/Suzuki Factory Racing’s Chad Reed carried the JE colors to a ninth-place showing while Justin Hill his was credited with a 14th-place effort at night’s end.